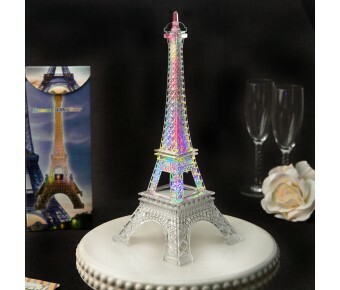 This large stunning Eiffel Tower table centerpiece can also be used as a topper on your cake. 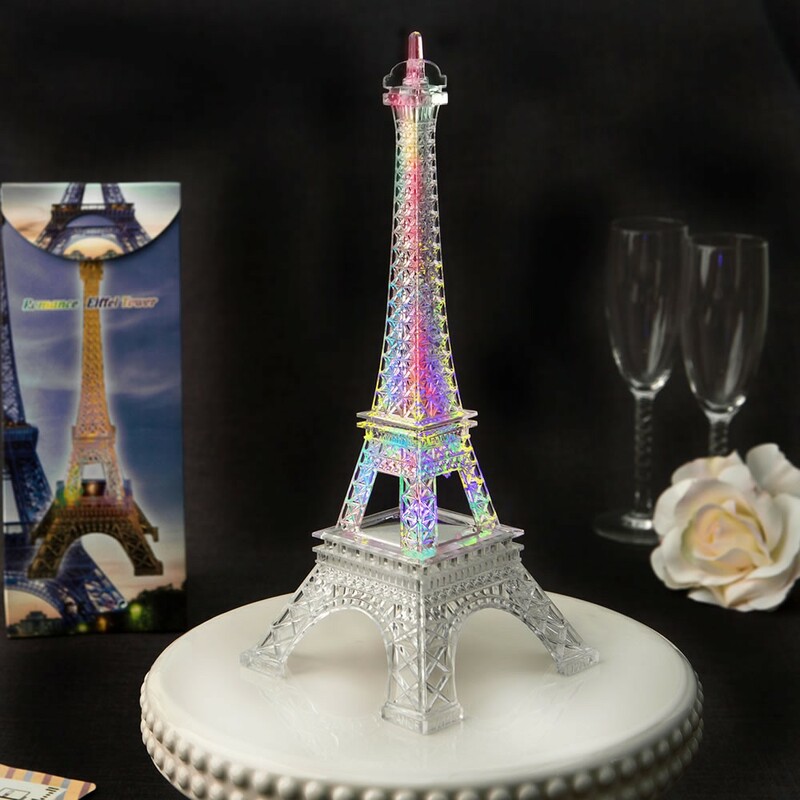 Pair it with our favors from the same Eiffel Tower collection to create a dramatic colorful scene in your event hall! These towers are sure to wow your guests when they shimmer as centerpieces on your tables and match the topper on your cake. The Tower is made from clear acrylic plastic and features a stunning realistic cut-out design. Inside the Tower are LED lights that once activated, light up and constantly change colors in red's, green's and blue's creating a dramatic effect. The switch on the base has an easy on / off design. Light up your function hall with shimmering Eiffel Towers creating a fabulous ambiance to celebrate a special romantic occasion! Size is 10" x 4"
A unique table centerpiece and cake topper for a romantic occasion, designed to add a wow factor!